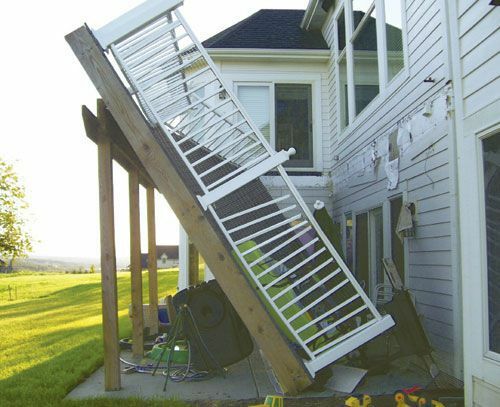 On the Fourth of July at least five people were admitted to the hospital for their injuries after a deck collapsed. The victims were celebrating the Fourth with a cookout. The deck they were standing on suddenly and the victims fell about ten feet to the ground. After the deck collapsed, it continued to pull away from the house and then fell onto the victims. The victims were rushed to Kennestone Hospitals with Fire officials arrived and everyone was expected to recover from their injuries. In Geogia, Landlords have a duty to keep their premises in repair and are liable for damages to others resulting from failure to keep premises in repair. O.C.G.A 44-7-13, 44-7-14.